You can’t beat cake.... especially when it's chocolate! 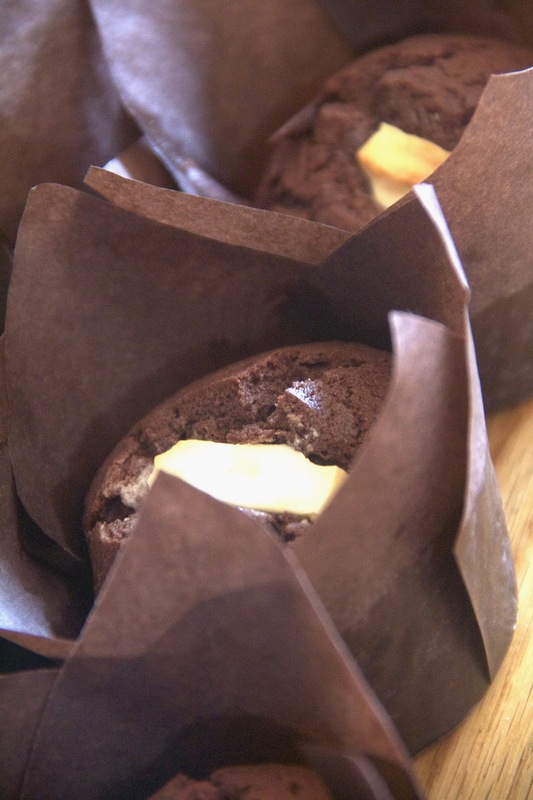 So we combined both together to create some delicious light muffins with big chunks of oozy melted chocolate. Perfect with a cuppa! 2. Put the chocolate squares into the freezer (so they don't burn when cooking) and pop the muffin liners into the tin.